We firmly believe that core knowledge is key, but with the unique and dynamic challenges that the marine environment presents, sport and activity-specific guidelines are essential. Our goal is pretty simple: to deliver the highest quality and most relevant medical/ preparation training possible for mariners. We have 3 different levels of Maritime Medicine courses that range from 1 day harbor conferences, to 10 day sailing expeditions. Each course is taught by experienced medical, rescue, and maritime professionals. We strive for highly practical, skills oriented, and scenario based trainings. ON THE BOAT OR IN THE CLASSROOM Commercial or professional crew? Gain valuable experience practicing lifesaving skills on your vessel. NO BOAT? NO PROBLEM We have boats and contract partners sprinkled all over the West Coast and the Caribbean. Don’t just read about it on the internet (but do that, too. Click here for resources), practice real world scenarios and case studies at the dock or on the water. Train with experienced Captains and rescue professionals in this special course format. CPR/ 1ST AID FOR THE MARINER satisfies requirements for CPR/1st Aid Certification, but includes additional modules (Drowning/ Cold Water Immersion, Maritime Safety Systems, and Hypothermia) that are important to the safety of the mariner. Practice live scenarios in a highly interactive and practical maritime format. These Advanced courses are custom built, and offered several times per year for private groups and charter. 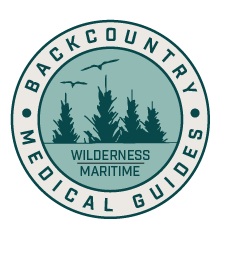 Our most popular options include a 7-9 day course that satisfies the requirements for Wilderness First Responder (WFR), or Wilderness EMT upgrade. We also have Continuing Medical Education (CME) credits for advanced healthcare providers that can be integrated into a yacht charter or cruise. Popular Itineraries: WFR or CME Caribbean catamaran, WFR or CME Belize catamaran, WFR or CME sailing San Juan Islands, WA, Monterey Bay CME. Drum up a custom adventure. Minimum group size of 4. Dive deep into the most common types of boating injuries. This class is crafted on personal experience and case studies. Understand the world of trauma and medical emergencies, while practicing the skills, live, on a ship. Wilderness First Responder (WFR) re-certification (additional e-labs and practical apply). TRAINING A CREW? We train lots of professional crews. TRAINING A STAFF? We partner with top charter, race, and dive teams. YOUTH SAILORS? A critical first step in sailing.